We are delighted to announce that we have partnered with the British International Freight Association (BIFA). 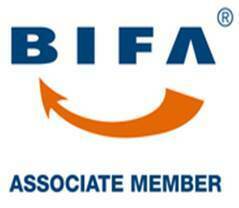 This leading body represents more than 1500 UK companies in the logistics and supply chain management sector and, as a not-for-profit organisation, BIFA is passionate about ensuring its members are properly presented. BIFA is the trade association for UK-registered companies engaged in international movement of freight by all modes of transport, air, road, rail and sea, so, naturally, their members will have exposure to foreign currency. Thus, this exciting partnership presents a real opportunity for your business to work closely with us to understand the nuances of currency risk management. Over the years, we have learned that there is no way of knowing exactly what will happen with any given currency pairing from one day to the next. If your exposure is significant, even a trivial swing can adversely affect your profits, margins and bottom line. That is why we are passionate about communicating the potential ramifications of not protecting your business through currency risk management, especially in these particularly uncertain times. One of the ways we do this is by creating educational resources, such as our Treasury Management White Paper and Quarterly Currency Forecasts. The approach we take is necessarily centred around each business’s unique circumstances, where we work to understand your specific needs. Only then are we able to offer guidance on the best course of action moving forward. There are no hard and fast rules regarding best practice, except one: foreign exchange should never be thought of as a revenue stream – but it is a means of ensuring definite cash flow. The peace of mind that comes with an effective currency risk management strategy enables you to focus on running your business in the best way possible. We invite BIFA members to book a free risk management health check by completing the form below. We’ll get in touch to discuss your situation in detail and work with you to develop a strategic action plan that helps protect your margins and enables you to realise your business growth ambitions.